Jamroom Support: View topic - Announcing The Jamroom Network Team! Announcing The Jamroom Network Team! I am super excited to finally announce a major change that has been in the works for over a month now - The Jamroom Network! The Jamroom Network is the new name that we are operating under, as we have re-organized and formed a new team to support Jamroom, and I couldn't be more excited. Many of you long timer Jamroom users know that for most of the past 9+ years that the Jamroom "team" has mostly consisted of myself, and part time support/development help from Kyle and Greg, and up until a year ago, full time support help from Douglas. In the last 2 years I've been on a mission to try and find an alternate income source for my company - trying to keep it alive as sales of Jamroom have declined. One of those products I rolled out in February is a mobile "backend as a service" solution called Trestle that really took off, and culminated in the product and the Trestle team (myself included) being acquired by another company, which we are super excited about. However, this has placed me in a position where my ability to support Jamroom (which was already minimal) was going to be very, very hard. First and foremost I really don't want to let anyone down that is depending on Jamroom for their business - I've felt the need and pressure to get back to regular Jamroom releases and improve the support back to where it used to be some time ago, but due to time constraints have been struggling to do so on my own. So about a month ago I floated the idea of forming a new team with a select group of long time Jamroom contributors where we all have an equal share in making Jamroom awesome, and they all agreed. I'm really, really happy about this as I think it keeps Jamroom in the hands of developers who really care about seeing Jamroom succeed, and each of us knows many of you on a personal level - the alternate option of selling Jamroom.net and the Jamroom product on something like Flippa always worried me as I could not be sure a new owner would treat our existing customers well. Brian - here from the beginning I am still going to be involved with Jamroom, and will be handling most of the research and development needed for Jamroom 5 and beyond. Douglas - "SixString" is jumping back in full time on custom design, development and customer support. He will lead our customer service efforts to make sure no one does it better. Michael - most of you know Michael as "ussher" from Apicos and the forums - Michael brings a deep knowledge of Jamroom and module development to the team, as well as awesome marketing skills. Michael will be handling the Jamroom development roadmap as well as marketing. Paul - "pasher" from Motagator - Paul is a long time Jamroom developer and supporter (Jamroom's 3rd customer from 2003!) and is going to be doing Jamroom support, development and heading up our (coming soon) entirely new 3rd party developer program. Huw - "zorag" from Oinkba Design - many of you are running Oinkba skins in your Jamroom since they look awesome, so you'll be excited to know that Huw is bringing his excellent design skills to the Jamroom team and will also be running the day to day operations. daddysylem - Greg is going to continue creating and supporting his flash players under the DS Players brand, and will be creating new players for Jamroom 5.
smith.kyle - Kyle has started his own 3rd party company for supporting his Jamroom related products - the jrTwitter module and another module coming soon I think everyone will like. He will be joining N8Flash Design as one of the initial 3rd party developers that we are working with on the new 3rd party developer program (more to come on this soon). Monthly Jamroom releases - we need to get back to regular "point" releases of Jamroom to make sure you are all running the fastest, most stable system possible. This starts with the Jamroom 4.3.0 release which is on track for release in the next week or so. Jamroom 5 - Jamroom 5 is currently in the works and will go public beta on August 31st!. I know many of you have been waiting for Jamroom 5 for a VERY long time, and I hate to ask you to wait 2 more months, but we have an ambitious plan in place and want to be sure it is awesome. Improved support - with outstanding coverage across time zones we're going to live up to and exceed the customer support levels many of you have come to depend on over the years. New 3rd party developer program - we are going to be creating a new Jamroom 3rd party developer program that is designed to encourage developers to build awesome things with Jamroom - you'll see this coincide with Jamroom 5 and will result in higher quality products available in the Marketplace. And that's not all - we have several other Jamroom related projects underway that will be announced shortly. I know this is a very long post, but it's full of a lot of good news I wanted to share with everyone. I'm personally really happy about this as I am going to continue to be involved with Jamroom, but am now joining up with a dedicated team who are not only fantastic at what they do, but are also friends. Do you have ANY info on what we can expect in Jamroom 5. Two months is long wait and it would be great to have some idea of the new features you guys are thinking of implementing. So now that it has been announced, I'd like to say 'Hi! ', and "Please go easy on us" for a while as we all find our flow and our feet. There is no other platform I like building web stuff on better than jamroom, but actually building the core code is something new to me and the others. Im going to try my best to live up to the standard everyone expects from jamroom. Fully updated module system to make modules "one click" install and easier to manage (and develop for). Many features will be moved to modules to make it easier to setup a system "a la carte". Moving to a skin-only type setup - JR5 will still support "profile themes", but going forward we're going to be focusing on using just "skins" for the entire site. Jamroom Core is always unlimited (no 25/100 artist profile versions). removal of "member" quotas - all quotas will have access to all features - you just set them up as you want them. ranking system updates for speed and flexibility. There will likely be a much longer list as we get closer to the actual release, so we'll be posting more as we finalize more. The main goal with the initial Jamroom 5 release is to "set the stage" for the next steps in Jamroom by focusing a lot of attention on making the core easier to develop for, and easier to manage from the admin's side. Note that the Apicos, Motagator and Oinkba forums have now gone and all their posts have been moved to either the Announcement or Help forums. All of our products are still available in the Marketplace and are now part of the Jamroom Network. Please post any questions about them in the Help forum. Sounds good Brian take it the modules should be easy to update from Jamroom 4 modules as Going to release some modules during the month as well as 2 themes. How about changing the ffmpeg code to not just make flv file but an choice of output ie mp4 as it would work better for mobile. Nice! Good to hear these updates! Brian - I know we talked and I was hoping that everything was going to work out like this. With everything you had going on with Trestle and the interest people had in it, I was fearful JR was going to possibly fall in the cracks. You have a great team in place and they have all helped many of us in the past. Thanks to all of you guys for jumping in and helping to keep JR moving forward. I don't mean to be the bummer in this thread but this announcement kind of scares me. I always recommended Jamroom and used Jamroom because of Brian. I don't want to put down any of the other Network members, because they are all talented, but Jamroom is really... Brian. I think it's great to make announcements. But bottom line, in business, hopes sometimes don't turn into realities. I do hope everything works out. One thing I hope won't happen: Brian always was open to people creating things - templates, mods, etc for Jamroom. I believe, he was unbiased to what a person should buy because he was the developer of Jamroom and wasn't selling templates, mods, etc. Now that several 3rd party developers are running the show, does someone who wants to buy a template, for example, always get referred to Oinkba or N8Flash... if there were other template designers? Not that they don't create nice templates, but being first point of contact with the customer puts them in a great position to sell their products or services. Maybe that's part of the deal being part of the Network... I don't know. It's not my development business. But I am a customer and I am worried. They are plenty of other quality scripts that aren't going away and have 100s of people working on them. A hard and cold reality. Mobile is the future... I can totally understand Brian. I do honestly believe Jamroom is the best script I've ever worked with. In my honest opinion - THE SCRIPT SHOULD NOW BECOME OPEN SOURCE. It's the only way to keep Jamroom totally developed. Plenty of money to be made in templates and Mods. Sales are down because I can download Wordpress and have 20k plugins to choose from. Why is my customer going to go with Jamroom vs. Wordpress when Jamroom cost money? Food for thought. One thing I hope won't happen: Brian always was open to people creating things - templates, mods, etc for Jamroom. Thanks for the feedback - hopefully my announcement post did not make it seem like this was changing. If you check out the Marketplace you'll see that all products from the new Jamroom team members are now under the "Jamroom Network" brand - going forward all development is going to be under that as well, so there's no outside incentive for any one of us to create a module/skin/whatever that does not benefit the core. One of biggest efforts going forward too is to try to get more 3rd party developers on board building things for Jamroom. I'm totally on board with Jamroom. I agree, Wordpress, Joomla, Drup... aren't Jamroom. I've come to use Jamroom as the benchmark against all other scripts. I just fear that you'll drop out of the development loop for new ventures. I can't tell you how many times I've read threads on the forum where multiple Jamroom Network Team members are stumped on a problem and then you chime in and say to do this or that... without any hesitation. Knowing that you treat Jamroom like it's one of your children, makes me feel like you won't let things lapse. I really do hope things turn out great. 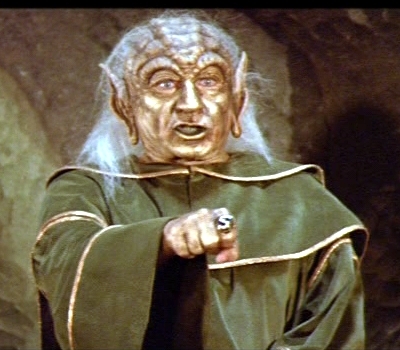 May the schwartz be with you. I won't - to be honest I am really excited about the new team. For the last year, being the only "member" of the team has been hard - with a lot of things stacking up at times it was just overwhelming and so it was easier to simply put it off rather than confront the pile of items I needed to take care of. Knowing now that for most Jamroom related items and issues there is somewhere there to "cover my back" is a huge relief for me, and has really injected some new enthusiasm into things on this end. I actually liked the quotas. It enabled us to sell premium accounts where artists could upload more songs and have bonus features. Will there be a way to do something like this in JR5?